A photo of nooses in a collage inside a middle school classroom on Long Island has sparked outrage. Erica Byfield reports. A school district on Long Island said it was investigating after a photo of nooses was allegedly displayed in a middle school classroom. 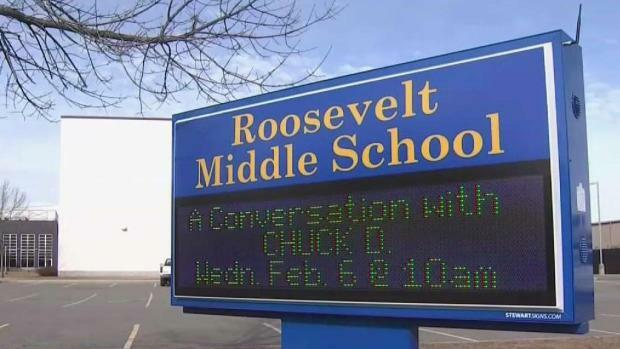 "The Board of Education has zero tolerance for the display of racially offensive images," the Roosevelt Union Free School District said on its website. The board was made aware of the photo on Thursday and immediately started an investigation, the statement said. The Rev. Arthur L. Mackey Jr. sent a copy of the photo to NBC 4 New York. 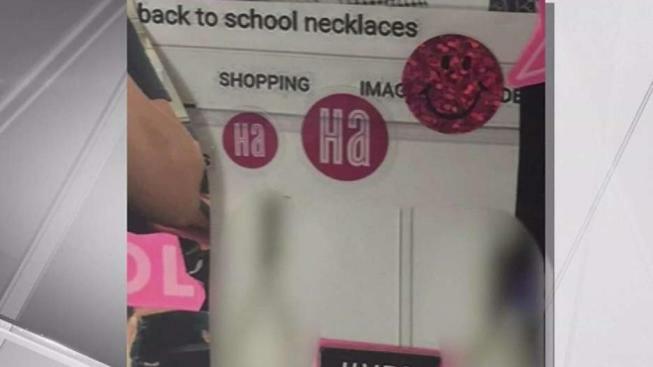 It showed two nooses with the words "back to school necklaces." A school district on Long Island said it was investigating after a photo of nooses was allegedly displayed in a classroom. Katherine Creag reports. Mackey said it was hanging in a classroom at Roosevelt Middle School as part of a photo collage. The Hempstead Town Supervisor said the teacher or teachers responsible to be immediately dismissed.